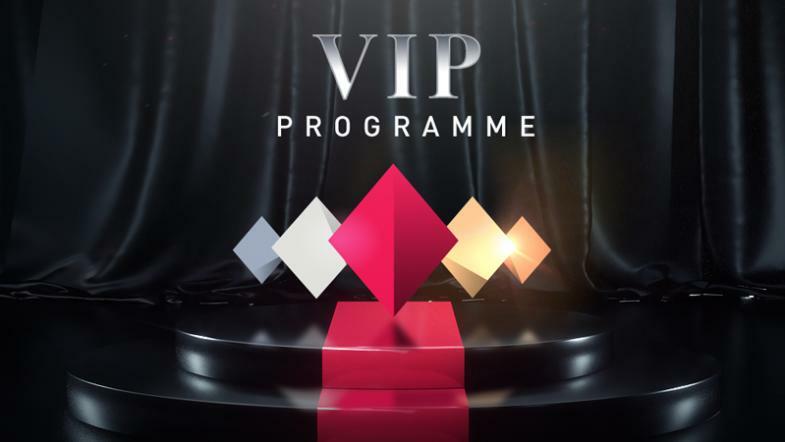 HIGHSTAKES offer a comprehensive VIP program to reward our loyal players. 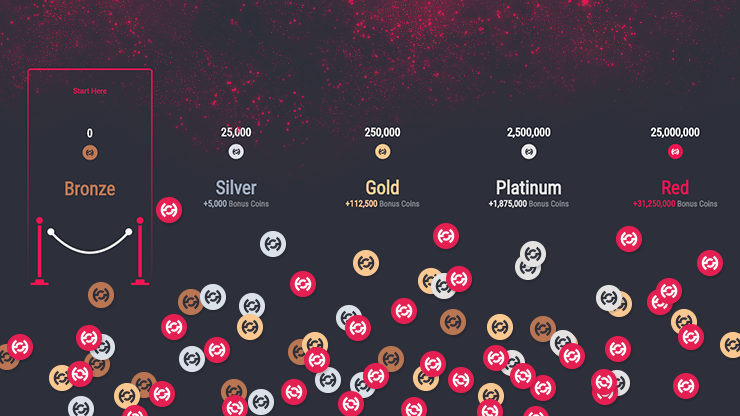 Players earn 10 HS coins for every $1 of contributed rake. 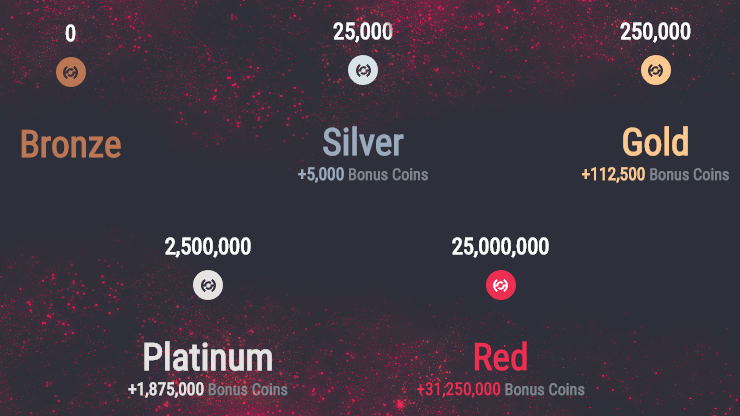 The more coins you attain the quicker you will be promoted through the VIP levels (Bronze, Silver, Gold, Platinum, and Red*), and each time you reach a new level you will receive bonus coins. HighStakes TIP: Save up your coins for maximum returns! HS coins can be redeemed in the VIP store for Instant Cash, Tournament Tickets & HIGHSTAKES Merchandise. HighStakes TIP: Check the store daily for limited edition merchandise drops!